My kids are big fans of reviewing products and services for my blog. They are always so excited when I tell them we need to try something out so we can tell others whether or not we like it! Recently, we were invited to try out K5 Learning. K5 Learning is meant for use by busy families who want to provide their children with high quality reading and math enrichment without spending hours organizing home study or driving to a tutoring center. 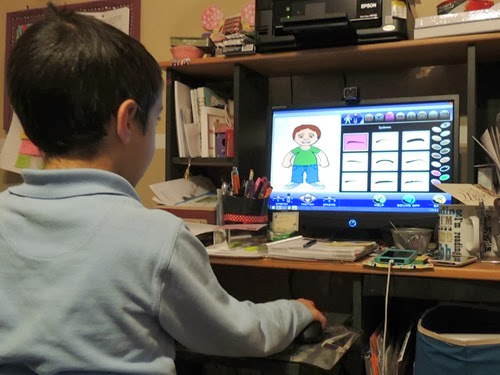 The program was designed for after school study and summer study but is also used by homeschoolers, preschoolers, special needs students, and gifted students. Zachary started using this program first. The first thing he did was create a figure of himself. He then chose whether he wanted to do reading, math, or spelling. Of course, he chose math, which is his favorite! Zachary started with math facts with zeros. 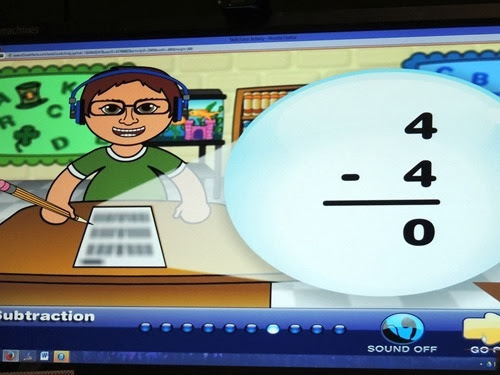 I initially had a problem with this particular lesson because speed counts in answering the math problems and neither of my kids are very fast typists. However, I was informed that I could adjust the time required by the program to answer the questions. I was very impressed with the customization allowed as a parent. In between math lessons, brief periods of break time are given in which the child can play a quick game. Zachary enjoyed this option. Gabbie also started the program with math facts. 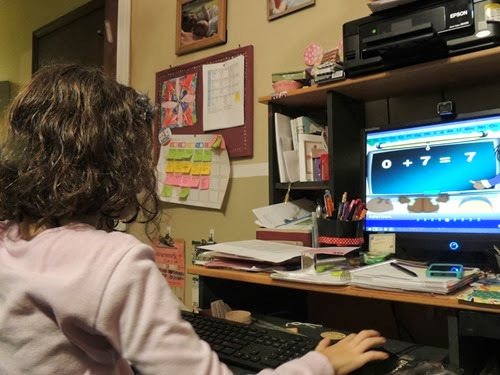 She quickly decided that it was a bit too easy and she was excited to find out she could take a placement test to determine the lessons she is assigned each time she uses the program. Gabbie completed the assessments provided for both math and reading. I was personally satisfied to discover that she placed in the low 4th grade range for math and in the high 3rd to low 4th grade range for reading when she is actually in 3rd grade currently. Since then, she has been using K5Learing every evening for two things – I put her spelling words in to the spelling test section each week, and she is working on reading comprehension lessons, which she seems to enjoy doing. 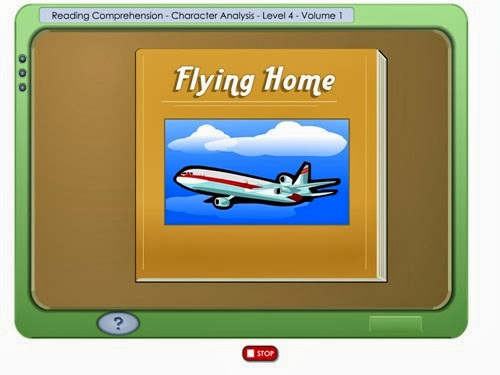 If you are interested in trying out K5 Learning, you can begin by viewing sample lessons and then sign up for a free trial. 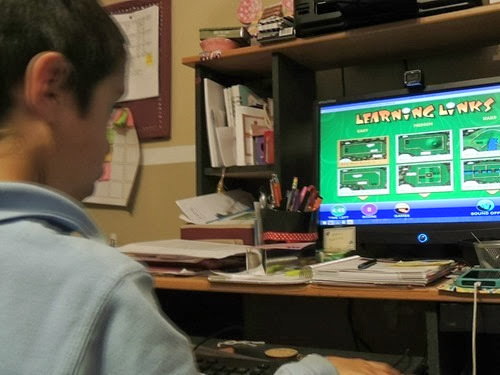 Do your kids enjoy using the computer for learning activities as much as mine do? I’m starting to think we need another computer around here! I received a free trial of this program in exchange for my honest review. No other compensation was provided. Now, imagine those photos in a book, given as a gift. Wouldn’t you look like the best most thoughtful person ever? Yeah, you pretty much would. 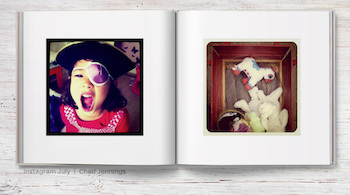 And with Blurb‘s easy, custom books, you can make a photo gift book that’s both personal and extremely polished. You can use your Facebook photos, Instagram photos, or photos on your computer. You can design your own book, or have it automagically created with the Blurb Designer Collection templates. All these tools are designed to run right in your web browser, letting you make a book in as little as ten minutes, and they start at just $12.99. A real book. One you can hold, share, and pass on. Plus it’s so easily customized that you can create different versions for different people. Just swap in a few new photos, change the text, and re-order. Looking to make something a little bigger, like a family history book? Yeah, Blurb has ways to do that too. 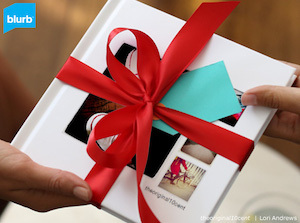 So, get started on making a beautiful gift book now with this Discount Code Valid Until 11/22/13!